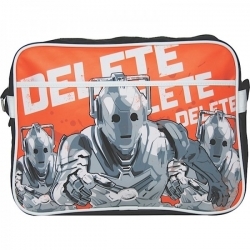 Show some Old Skool appreciation with this awesome Cybermen retro bag! Featuring a large image of 3 cybermen and printed with words delete on the background. A must have for all Dr Who fans.